What a shame Jahnavi Barua‘s novel, Rebirth, is, to the best of my knowledge, available “for sale in the Indian Subcontinent only” (backcover). Our Shadow Man Asian team had real problems tracking this one down, but I’m very glad we did manage to obtain some copies, eventually, because this is a beautiful book. The title, Rebirth, might give you a sense of its subject matter – but, then again, it mightn’t! The novel – novella really – is a first person monologue by a mother to her unborn child. The child is waiting to be born – not reborn – but there is a sense that for the mother, Kaberi, a rebirth might be in the offing as she explores the state of her shaky arranged marriage, and of some tricky or unresolved relationships with family and friends. had been partial to the large soft sofa in front of the television, from where I had a good view of the screen, but from where I also looked inwards, into the heart of the house. I did not see much of the sky or buildings clustered around our own, but all that, anyway, did not cross my mind very often, so focused was I on your father and myself and the home we had fashioned together. I will not buy a book today. I will try and live in my life instead. I demand love. Now, especially now, at least now. This comes about a quarter of the way through the novel … the rest explores, in the same quiet tone, how things fall out for Kaberi, how she confronts her fears and insecurities. Things do happen – her father dies and she returns home to Guwahati, she eventually tells her husband, family and friends about her pregnancy. You can’t hide that forever after all! In other words, there is a plot of sorts, but the story is mostly an internal one and the ending is appropriately open albeit also with some sense of things resolved. Birds wheel around slowly in the cloudless sky. Seemingly aimless, but I know better; little happens in nature accidentally. And, I’d say, little happens accidentally in the writing of this book. It has been carefully and subtly structured to lay the foundations for Kaberi’s growth, and this makes it an absolute pleasure to read. 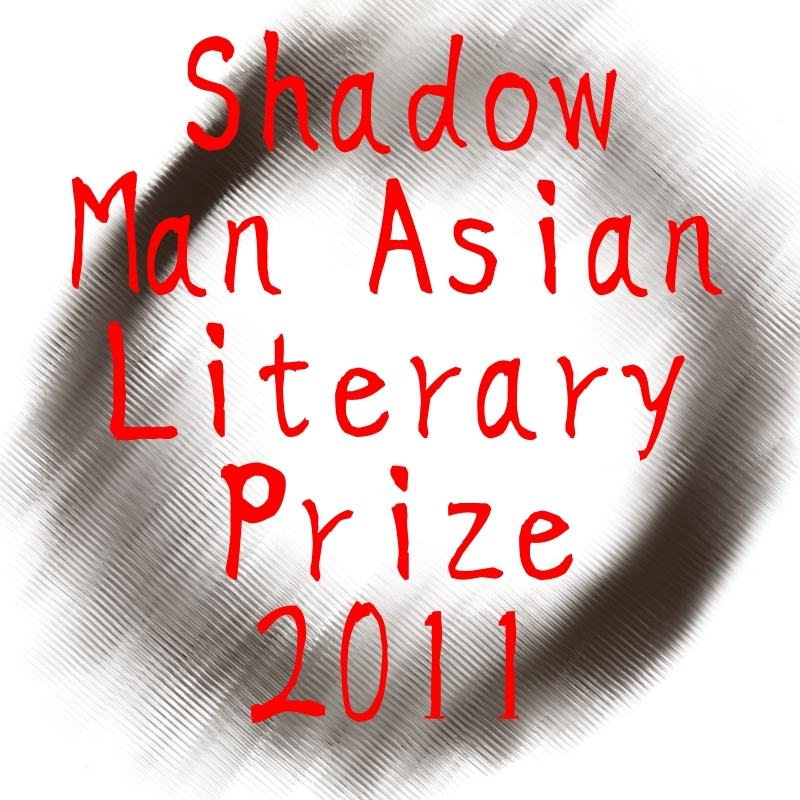 For other reviews by the Shadow Man Asian team, please click on my Man Asian Literary Prize page. I’m so glad we were able to source this one…it really is a very special book! Yes, we agree on this one! It’s beautifully done … Love the voice. It does sound lovely, although “I will not buy a book today. I will try and live in my life instead” hits a little close to home; though I’d like to think I’m doing better! Well, when did you last buy a book! I reckon you’re finding a happy medium. Quite recently actually! GO ME! Go you indeed, but you’ve been living in between haven’t you. Wow, this could be the dark horse of the whole thing, couldn’t it! How bizarre if the Prize winner isn’t officially available for sale in the country where the ceremony is taking place! Lovely review and, as you know, I agree with all of it. Thanks Mark … Yes, I thought that too … It’s going to be very interesting. So glad you were able to read this one. I liked it too, but probably not so much as you did. My copy came from an online bookstore in India, although it took them a month to ship it. Thanks Fay … did you end up paying 4 times the actual cost of the book in shipping? Way back in November, when we started this, I found an Indian source but I just couldn’t stomach ca$4 for the book and ca$17 for shipping and handling. I will comment on your post … which I read after I posted mine and was updating my Page links so didn’t take the time then to comment. Sue, an online vendor in India had the book, and they probably took a month to ship it because they were having trouble getting one in stock. The paperback cost only $6.25 US, and shipping was $13.00 US, which is about what I spent to mail a book to Australia not too long ago. The total was less than I would pay for a hardbound book here, and my motivation to read the book was strong, so the cost did not seem high. Thanks Fay … and sorry for taking so long to reply. Two versions of this comment of yours found their way into my Spam folder which I’ve just checked. You’re right that the price was less than I’d pay here but for me it was a principle thing really, and I was hoping that with the longlisting it might become more easily available. This sounds like a wonderful book and worth the trouble it took you all to find it. It certainly is, Stefanie. Watch out for it if it gets published in the US. It’s a short read but a goodie. And that’s the mark of a great book, isn’t it Stu.